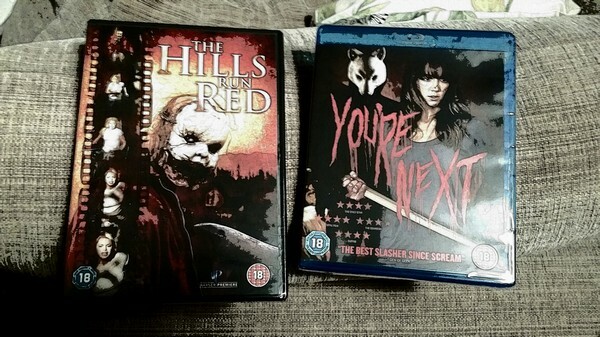 Hills run red and You're Next are my two latest movies. 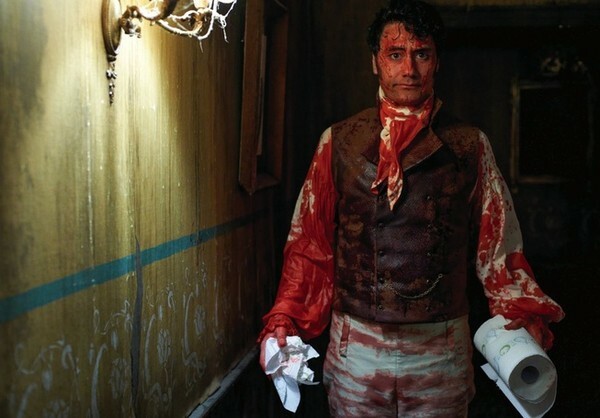 What we do in the Shadows: Follow the lives of Viago (Taika Waititi), Deacon (Jonathan Brugh), and Vladislav (Jemaine Clement) - three flatmates who are just trying to get by and overcome life's obstacles-like being immortal vampires who must feast on human blood. 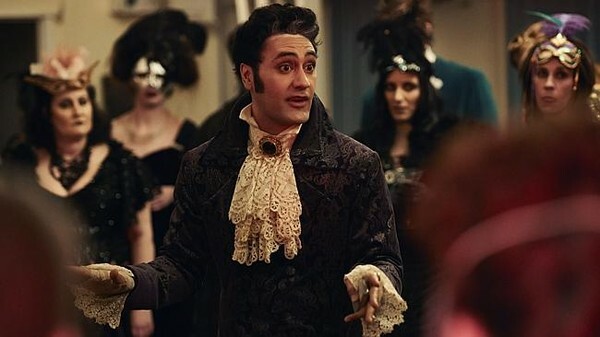 Hundreds of years old, the vampires are finding that beyond sunlight catastrophes, hitting the main artery, and not being able to get a sense of their wardrobe without a reflection-modern society has them struggling with the mundane like paying rent, keeping up with the chore wheel, trying to get into nightclubs, and overcoming flatmate conflicts. This is one of the funniest movies that I have ever seen, period. The characters were well written and all the situations were very funny. This mockumentary stands out in the vampiregenre. It was smart to have vampires from different times in history and one of them reminded me of Count Orlock from Nosferatu 1922. The humour in this movie is my kind of humour and I had such a blast watching this film and I recommend you to watch it as soon as possible, probably one of the best vampire movies to this date. Miss Violence: On her birthday, 11-year-old Angeliki jumps off the balcony to her death with a smile on her face. An investigation is started as to the reason for this apparent suicide, but the family keeps insisting that it was an accident. The beggining of the film shows exactly how the rest of the movie will play out and in what tone, and it is in a very dark one. Things only get worse and I like movies that are not feel-good types of movies and this one certainly is not. 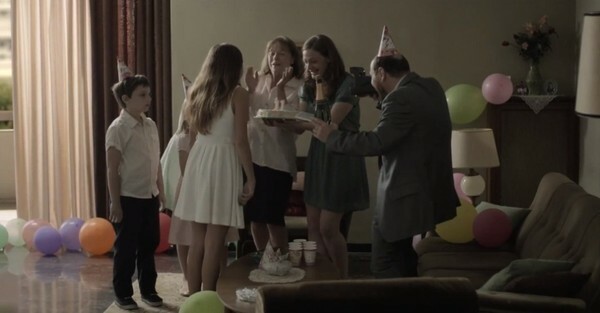 I was surprise at the ending and what was really going on in the family and I will surely never forget this film, it reminds me of Dogtooth, which was also a pretty dark film and I hope I get to see more films like this coming from Greece. You can get a great dvd of Miss Violence at njutafilms. The Scribbler: A young woman is facing her destructive multiple personalities using an experimental new procedure known as "The Siamese Burn." This is probably the coolest film that I have seen this year. The cinematography was great, with blue, green and dark colours and the character of Suki was so fascinating, that I wanted to learn more about her all the time. The story was great and I got really drawn into it and I thought that every character had something to add to this film. The editing and different use of angles was refreshing. The clothes and styling of Suki was perfect and it got me even more drawn into her character. Both Michelle Trachtenberg, Eliza Dushku and Sasha Grey is in this and the rest of the cast did a great job aswell, I really recommend this. I have seen two of them, but I will watch Among the living again. I am looking forward to seeing Miss Violence and Kink. The Gun Woman, Kink, Miss Violence and Among the living. The two faces of January: A thriller centered on a con artist, his wife, and a stranger who flee Athens after one of them is caught up in the death of a private detective. The story was good and solid throughout the movie and there were some unexpected turns that kept me interested and that made the story even better. The colours, lightning and clothes were beautiful and the acting was very good, I really liked Kirsten Dunst in this one, it had been a while since I saw her in something really good. It was very nice that the filmmakers changed the weather depending on how the characters were feeling, the more miserable they got, the darker and rainier it got. I hope that you will watch this movie at Stockholm's filmfestival. Obietnica (The Word): Lila and Janek are a couple struggling with their relationship because Lila saw Janek kissing another girl. Janek is willing to do anything to get Lila to forgive him and she has something in her mind, but will Janek go through with it? A Polish movie with a strong message about how obsession and love can lead you to do stupid things. The story was good, but there were many questions left unanswered that I wished were explained a bit more and I felt something missing when the end credits started rolling. Love will make you do crazy things and this movie shows it and I wish that Lila's character and thought were presented more, because I wanted to get to know her even more and to know what was going on inside her head throughout everything. These were my outfits for Halloween this year. 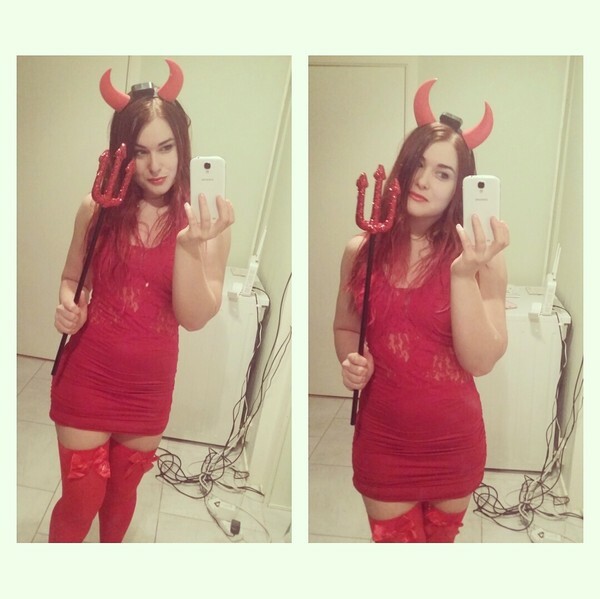 I went to two Halloweenparties, but I wanted to go to more! 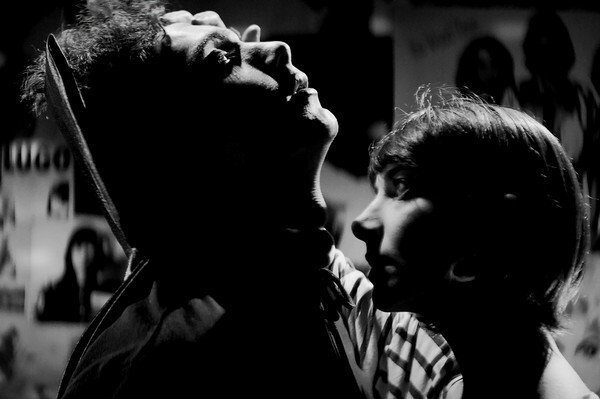 A girl walks home alone at night; In the Iranian ghost-town Bad City, a place that reeks of death and loneliness, the townspeople are unaware they are being stalked by a lonesome vampire. A horrormovie from Iran in black and white, sound really cool yeah? This movie was more funny than I thought it would be and not as scary as I thought. There were some gorgeous cinematography and the music was really good, but the key thing was missing and that was a really good plot, there was no story. The girl was a cool character and they had used clothing, lighting composition really well, but some scenes were too long, but still I thought it was pretty cool and humorous, which I enjoyed. This movie is playing at Stockholm Filmfestival, go see it. These final hours: A self-obsessed young man makes his way to the party-to-end-all-parties on the last day on Earth, but ends up saving the life of a little girl searching for her father. Their relationship ultimately leads him on the path to redemption. I had expected something completely different, but I am glad that those final hours was kind of slow paced and beautifully shot, instead of people running around and panicking about the end of the world. It was great that the film focused on how to spend your last hours, instead of trying to survive them. The friendship between the man the little girl was beautifully written and there was a calmness about the film that I liked. The film was shot in gorgeous yellow and brown colours and the story was told in an interesting way. Predestination: The life of a time-traveling Temporal Agent. On his final assignment, he must pursue the one criminal that has eluded him throughout time. This was the first film of the sci-fi night at the festival. 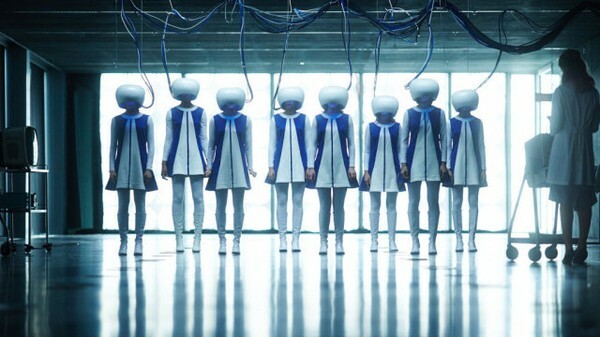 The best thing about Predestination is the story, especially when it smartly jumps back and forth in time. The actors were great and this movie certainly left a mark and I still think about this one. I really liked how every single detail was part of something bigger and how everything completed eachother. I think that Predastination is one of the best sci-fi movies this year and I recommend you to see it as soon as possible. 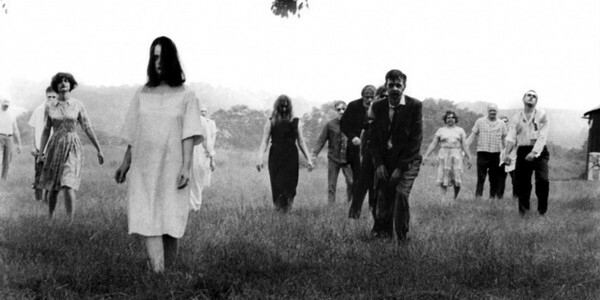 Birth of the living dead: A documentary that shows how George A. Romero gathered an unlikely team of Pittsburghers to shoot his seminal film: Night of the Living Dead. I love the earlier films of George A Romero with Dawn of the dead 1978 being my favorite one. I saw Night of the living dead 1968 when I was 13 years old and fell in love with it, so I was excited about this documentary. It was interesting and taught me a lot that I did not know. It was a bit short because I wanted to know more. It was great to know how little money and experience the crew had when they made this movie, because it shows that with heart and hard work, you can achieve anything and he basically created the zombie genre after making Night of the living dead.